My work sometimes includes curved elements, and this page shows examples. The technique I most frequently use for this work is bent laminations. A form is made of the desired shape, and thin wood layers are glued together and clamped to the form. The end result creates curved components that retain the original shape with minimal waste. 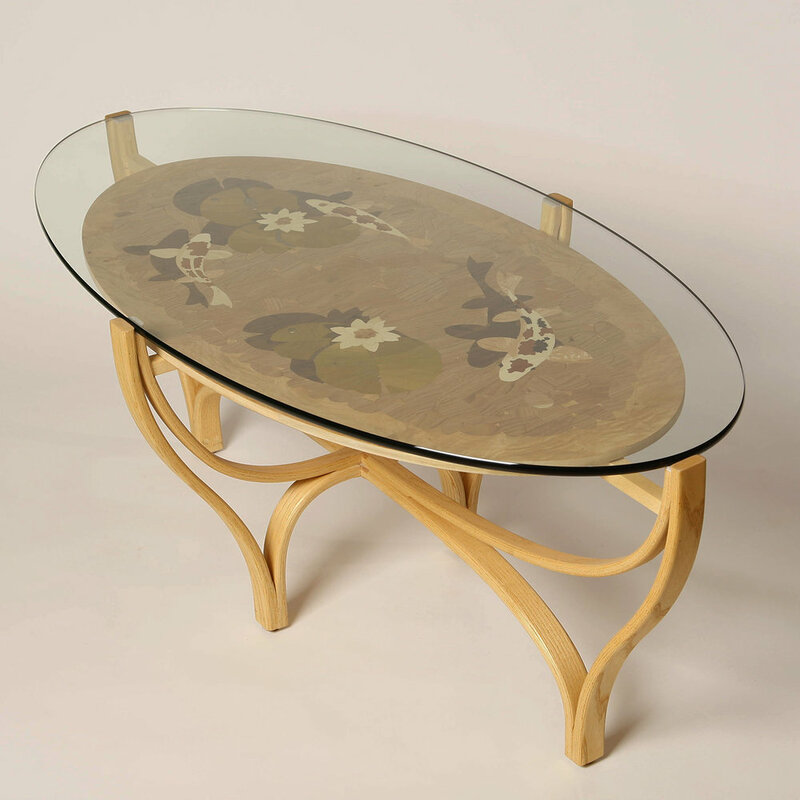 The Alton Coffee Table was the first of several projects to use bent laminations for components. 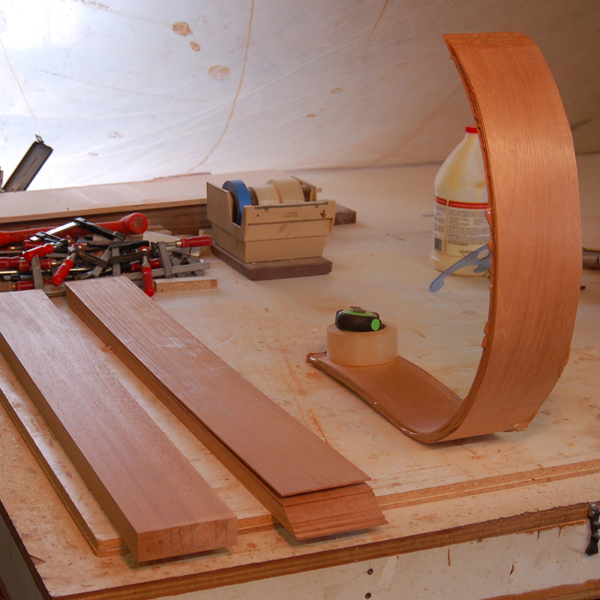 This picture shows the progression from solid wood to final curved product. To the left is a board of solid mahogany. The center is a similar board, sliced into thin strips each 1/16" thick. To the right is the curved leg component, after the glue has cured but before trimming it to final dimensions. This is the form made for producing curved legs. This is a 12-layer lamination for a final thickness of 3/4". The base of Koi Pond Coffee Table is designed to resemble a pond. It is a series of bent laminations, made of ash, and joined to form the base. This picture shows the assembly of the base. This table base required a set of forms to create the different shapes that comprised the final product.